Did you know that hearing actually occurs in the brain? As sound waves pass from our outer ear to our middle ear to our inner ear, tiny hair cells turn them into electric signals that are received and processed by the auditory cortex in our brains. Neural pathways that transmit these electric signals become inactive with untreated hearing loss. As a result, with untreated hearing loss, our brains attempt to fill in the gaps which may cause a larger cognitive load that is taxing on brain functions. According to studies conducted at the University of Texas at El Paso, hearing aids improve brain function. Conducted by Dr. Jamie Desjardins, assistant professor in the speech-language pathology program at U of T, the use of hearing aids drastically increased cognitive function for people who experience hearing loss. This supports other studies conducted at Johns Hopkins, which have found potential links between untreated hearing loss and a risk for dementia. In recent years, researchers have found potential links between untreated hearing loss and dementia. At Johns Hopkins, a study revealed that of 639 test subjects, those with untreated hearing loss were more likely to develop dementia over the course of 12-18 years. The auditory system, which takes in and makes sense of sound waves from our environments, works in conjunction with different areas of our brain. Our brains are stay in shape by registering sounds as reflexes, recognition, and emotional responses. With untreated hearing loss, these channels may begin to dull and certain areas of the brain are not as active as before. Untreated hearing loss can take toll on one’s physical and emotional well-being, not to mention the risk it potentially contributes to developing dementia. According to Frank Lin from Johns Hopkins, hearing loss affects the brain in three major ways: cognitive load (which taxes brain functions when it struggles to hear), change in brain structure and function, and reduced social engagement. 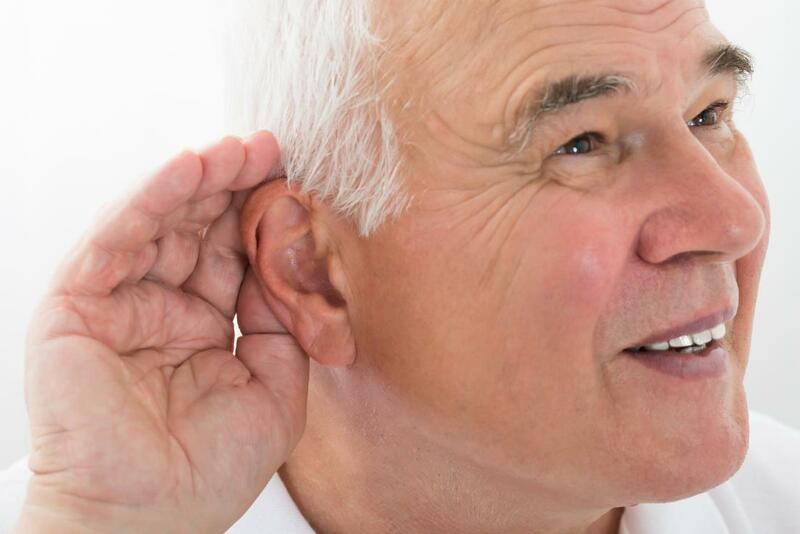 If left untreated, hearing loss could increase one’s risk for developing dementia. In part, individuals who experience hearing loss have difficulties with verbal communication, especially in louder social settings. As such, with untreated hearing loss, people may be less likely to participate in social gatherings and activities. This corroborates research on dementia: people who are more social are less likely to develop dementia, due to consistent engagement with the world around them. This stimulation keeps our brains active. For her study, Dr. Desjardins selected a group of people in their 50s and 60s with bilateral sensorineural hearing loss and who had not previously used hearing aids. It is important to note that Dr. Desjardins focused on sensorineural hearing loss, as this type occurs due to a breakdown in the process in which inner ear hair cells translate sound waves into neural signals to be sent to the brain. Participants of the study took a series of cognitive tests, which measured their memory, selective attention, and processing speed abilities – both prior to and after the use of hearing aids. After two weeks of hearing aid use, participants showed an increase in scores for recalling words, with improved processing speeds. By the end of the study, participants had drastically improved on their cognitive function from the beginning of the study. Hearing aids amplify sounds and provide us with clearer sound signals in our daily lives. From speech recognition to recognizing directionality of sounds in our environment, hearing aids treat hearing loss and ensure that we – and our brains – stay engaged and aware of our surroundings. Furthermore, hearing aids ensure that we do not lose touch with our loved ones or abandon our favorite past times and activities, which keep our brains active. If you’ve experienced changes in your hearing, there is no reason to live with untreated hearing loss. In fact, there are so many benefits to seeking treatment! Treating hearing loss with hearing aids is a clear solution to improving not just cognitive function, but overall quality of life. If you live in Western Kentucky, Southern Illinois, or Southeastern Missouri, Purchase Ear Technology would like to help treat your hearing loss. You can contact us by phone at (270) 558-3996 or stop by our office located at 2008 Broadway, Paducah, KY to see how we can help.